Like it or not, there is a significant chance that you will suffer an injury at the hands of someone else during your life. The number of personal injury cases brought before the courts have been increasing exponentially over the last few years. That isn’t to say that more accidents are happening; it’s just that more people are aware of their right to claim. You might slip over on a wet floor at your local supermarket, or you might find yourself in a sticky situation after being hit by a drunk driver. Either way, you will be entitled to suitable compensation. In most instances, the guilty party will want to settle out of court. 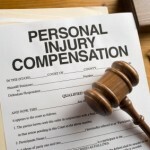 However, you’ll need a good personal injury attorney if you want to get the best possible result. Opting to represent yourself in cases of that nature is out of the question unless you have a legal background. Presuming your injury happened in a public place, you might be in a position to obtain CCTV evidence. If you manage to do that, the guilty party won’t have a leg to stand on. They simply cannot dispute your claims without looking dishonest when any judge can watch the accident on a TV screen. In some instances, you might have to pay a small fee to get the footage, but that investment will be returned the moment your compensation comes through. Ideally, you should take photos of your injury every few hours until it heals. That way, you will provide the courts with enough information to determine how serious the incident might have been. Also, the length of time it takes for your body to recover could go towards working out how much compensation you should receive. If it is obvious that you couldn’t work for a few weeks, you should be entitled to claim for loss of earnings on top of everything else. If you take one piece of advice from this post, it has to be the following point. 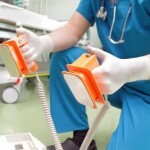 You must visit a hospital and get checked out as soon as the incident occurred. That way, you can obtain in-depth medical reports detailing the damage caused to your body. 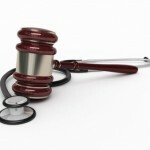 No judge is going to argue with reports produced by medical professionals at your local hospital. That evidence could be all that is required to place blame at the feet of the guilty party. 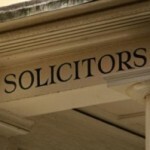 As we said only a moment ago, you will need to get in touch with a legal professional as soon as possible. It can take more than a year for claims to reach their conclusion, and so there is no time to waste. 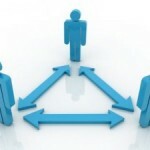 In the bulk of instances, you will receive an out of court settlement. However, those of you who have to stand before a judge could find it takes even longer for the award of compensation. You now have enough information to ensure you take the right steps whenever you suffer an injury that wasn’t your fault. As the old saying goes, where there is blame, there is a claim. Just don’t make the mistake of forgetting to gather the essential evidence!